Sleep is vital for good health. It allows the body to heal and restore itself. Without rest, people are unable to function. Sleep apnea is a condition that limits the rest people get because they are woken up repeatedly throughout the night by their inability to breathe. When sleep apnea persists, it is incredibly disruptive to the lifestyle of not only the sufferer but the people within their household as well. Continue reading to discover sleep apnea causes, symptoms, and cures. Various causes can contribute to sleep apnea. However, one of the most common sleep apnea causes of this disorder is obesity, as fat deposits that accumulate around the neck place pressure on the throat, limiting the body’s ability to breathe sufficiently. Large tonsils are also a cause of sleep apnea as they tend to obstruct the passage of air into and out of the body. Other sleep apnea causes include premature births and genetic syndromes that impact facial structures such as congenital central hypoventilation syndrome. 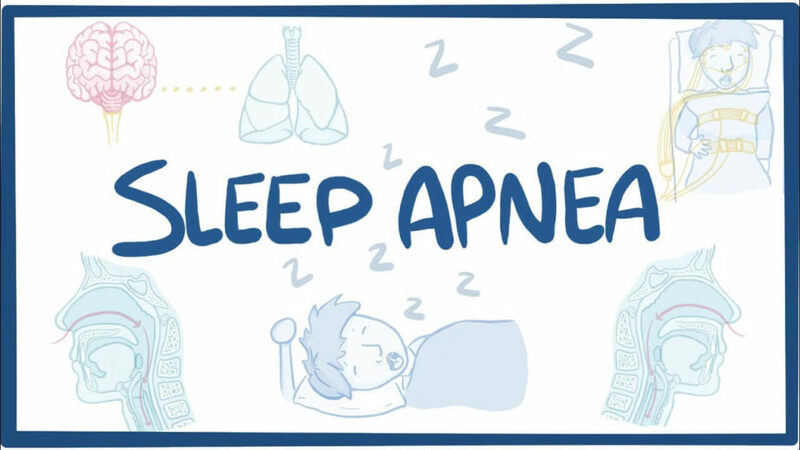 Heart and kidney failure, PCOS, hypothyroidism, and conditions that interfere with the brain’s signals can also contribute to a person’s development of sleep apnea. Related Article: How Would You Know if You Suffer from Sleep Apnea? Sleep apnea is divided into two main forms: obstructive sleep apnea and central sleep apnea. Obstructive sleep apnea occurs during the period of rest when the body and its muscles begin to relax. As relaxation sets in, the throat collapses, and for those with sleep apnea, the airway is blocked. Once the airway is blocked, the person cannot breathe and is awoken. Central sleep apnea is the brain failing to communicate with the muscles responsible for breathing. This type of sleep apnea is an indication that the body is not fully coordinated, and something is amiss, as the brain is unable to control breathing properly. Receiving treatment for sleep apnea is imperative. Disregarding the condition can cause extensive health problems such as heart disease, stroke, diabetes, erectile dysfunction, and more. You can try oral appliances to control this disorder. Your dentist may suggest a mouth guard that can be worn at night to support the jaw, limit any obstructions of the airway, and allow you to breathe correctly while sleeping. If you are suffering from sleep apnea and are seeking treatment, we encourage you to reach out to Dr. Gary P. Skrobanek. For more information on how you can benefit from an oral appliance while sleeping, contact GPS Dental. Our professionals look forward to speaking with you.